A huge Russian flag was draped over scaffolding at Salisbury Cathedral on Sunday nearly a year on from the Novichok attack in the city. The parents of the woman who died in the Wiltshire Novichok poisonings have said they have concerns about why former spy Sergei Skripal was settled in Salisbury. Decontamination work is continuing at the home of a former Russian spy who was poisoned by deadly nerve agent Novichok. 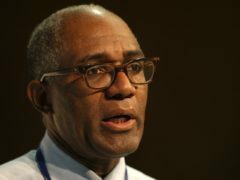 Former politician and broadcaster Trevor Phillips has said he was “complicit” in workplace harassment of young women. 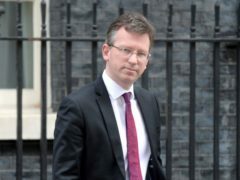 Media minister Jeremy Wright will call for strong public broadcasting after “blatant disinformation” in the wake of the Salisbury incident. 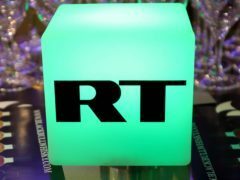 The state-funded RT network is currently subject to 10 investigations into media bias, including its coverage of the Salisbury poisoning. 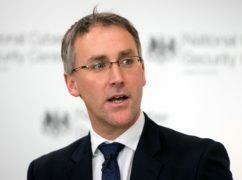 The Government is set to submit an extradition request to Moscow for two Russians suspected of carrying out the Salisbury nerve agent attack, it has been reported.